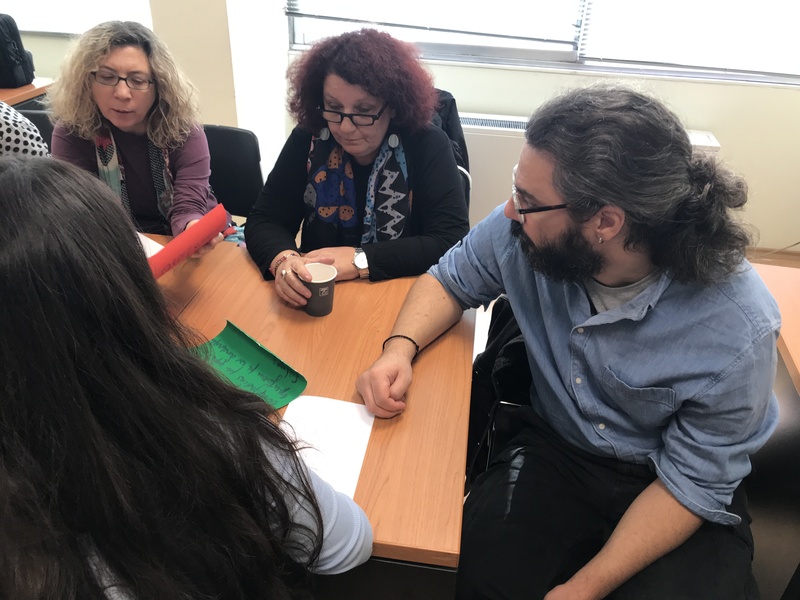 Open School Doors: 3rd Implementation workshop, 9th of November 2018, CTI premises, Athens. 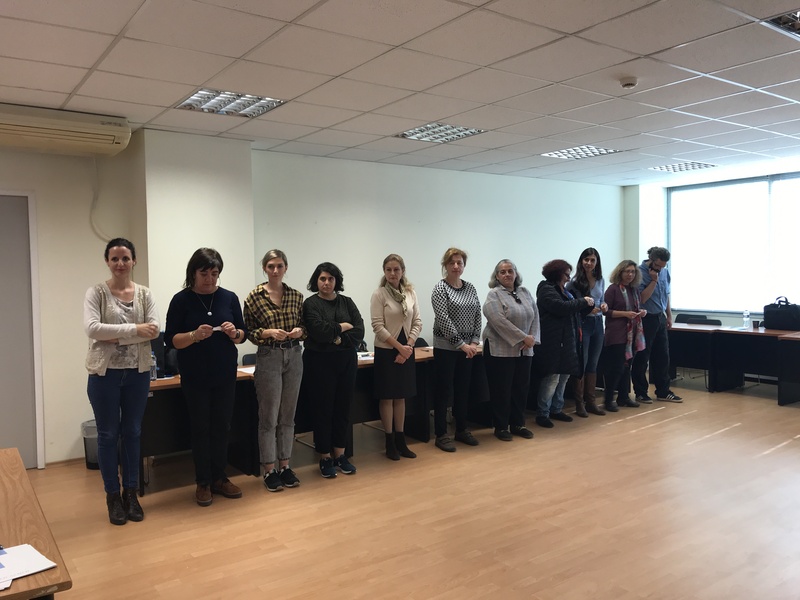 On the one hand present the training framework of the project at its current status, highlighting the importance of the 1st, reflective phase, so as to map the needs of the learning environment and of the educator’s preconceptions and attitude and decide on the process, milestones and adaptations of framework implementation. On the other elaborate on the activities each educator wishes to implement, realize the spectrum of those available in the framework and adapt those already used, so as to meet the needs of migrant/ refugee parents. To this end participants of several schools and NGOs targeting migrants and refugees were invited to a 4 hours workshop; some of them were newly comers, some others had participated in focus group workshop and some others to the 1st implementation phase workshop. In parallel with OSD training framework the basic outline and certain activities of two thematically close projects were presented; PISEA project (www.pisea.ea) aiming at strengthening educators’ intercultural competences and TEC project (http://www.enquiring-project.eu) focusing on the support of teachers and students, when engaging in difficult ethical conversations about identity, religions and beliefs, democratic values, diversity, in order to establish a firm foundation for inclusive and tolerant schools and classrooms. Workshop participants split in group activities; institutional changes and personal redefinitions, as critical parts of schools’ and educators’ journey to parental engagement. Participants’ feedback was very positive, they found both the reflective and the hands on activities’ part well designed and fit for purpose and expressed their intention to follow up with their schools within the next weeks. Under this perspective it was handed to them, and then sent with all power point presentations, the simplified version of their school’s action plan, which were asked to fill in and update accordingly. 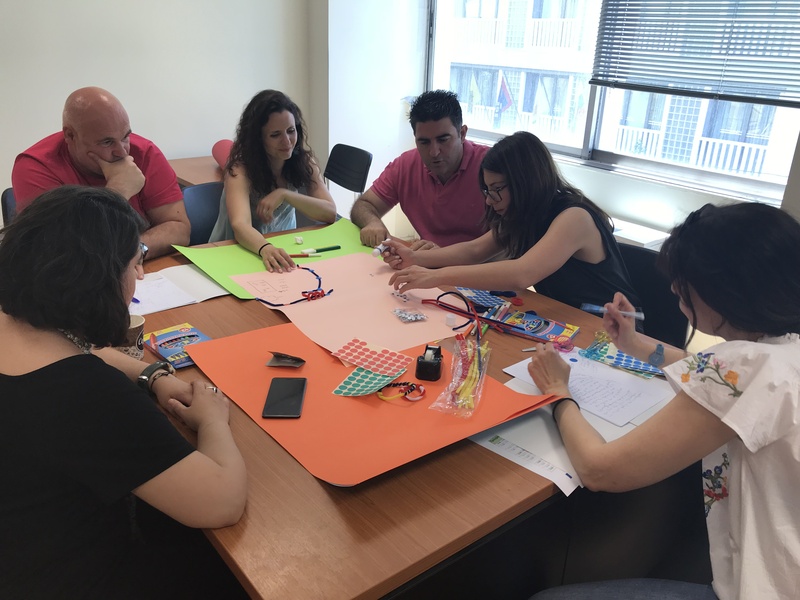 Within the next weeks an activity template will be circulated asking to record the activities they have implemented at school, with the view to assigning to migrant / refugee parents a more meaningful and active role in school life and at the same time assessing the training framework impact per se at a long term basis. 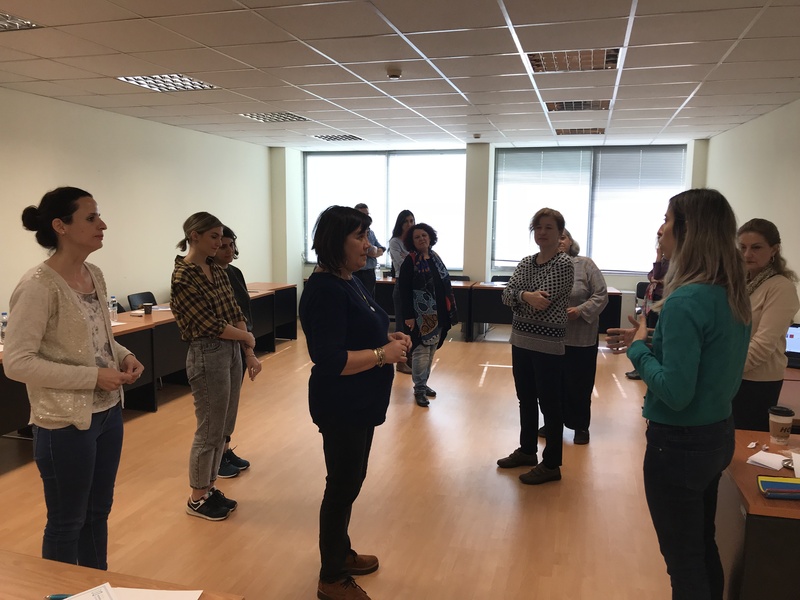 A step forward: an activity particularly relevant to making links between the different generations of rights (civil/political and social/economic/cultural rights), the access/ non access to them, the idea of empathy and putting yourself to the shoes of another person.